Brad Carter, chef and proprietor at Carters of Moseley, is a stickler for details. For him, eating out is all about the complete experience; he wants every single customer to relish their experience at his restaurant, and goes to great lengths to achieve perfection from start to finish. It is this focus on the minutiae which helped earn Brad a Michelin star in 2016, making it at the time the fifth restaurant in Birmingham to receive the coveted accolade. To ensure the best all-round experience for customers, the restaurant serves an eight- course seasonal tasting menu which showcases the talents of his team and the quality of the produce they choose. He explains: “Because we offer an eight-course tasting menu, the whole experience is our signature, is our ethos. Everything we do is our own, created by the whole team, the dish is just part of the customer’s journey. Brad is passionate about researching and understanding his suppliers. 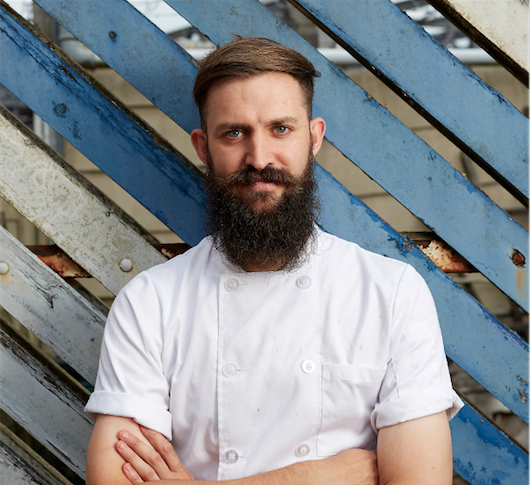 He recently spent time in Cornwall with his kitchen team discovering seafood and produce from the area; all of the restaurant’s seafood comes from the region. Brad launched Carters of Moseley in his hometown in 2010 with his partner Holly, who he met in a little restaurant in Shirley, near Birmingham. They decided to pursue their ambition of a restaurant of their own and opened Carters together when Brad was 28 and Holly just 25. The Michelin star still counts as one of the highlights of Brad’s career, though he says it was completely unexpected. He acknowledges it has been a great boost for the team and has opened doors to help push the boundaries with exciting new ingredients and methods. It has also given him the opportunity to achieve a dream of appearing on BBC television’s Saturday Kitchen. Indulge in a GourmetXperiences with Brad Carter.